You don't have to drive more than 100 miles from Los Angeles to reach Santa Barbara, but once you get there, you'll realize just how far it is from the hustle, bustle, and metropolitan concrete expanses of L.A. Known as the Riviera of the West, Santa Barbara's stunning beaches, widely acclaimed vineyards, and historic downtown make for the perfect setting for your wedding. During the summer and fall the region's dry seasons, the temperature hovers around 80 degrees by day and drops down to about 60 at night, making this a simply ideal climate for any event, either inside or outdoors. DC Events and Design's experience in the Santa Barbara area will lend the ideal expertise to your wedding. We offer wedding photography and wedding videography in many cities but Santa Barbara is definitely one of our favorites! This city naturally sets the perfect mood to capture the perfect images and video footage during one of the most amazing days of your life. While Santa Barbara often gets painted as the fancy Los Angeles getaway for the affluent, in reality, the average income is just slightly higher than the rest of California, and the city offers options for any budget. The downtown area is filled with classic California Mission-style architecture. The city has, in fact, stipulated that any commercial building must be built in this style, so red tile roofs and adobe walls abound. One of the grandest examples of this style of building is the Santa Barbara County Courthouse. It was built in 1929 and looks more like a Moorish castle than the municipal seat of justice. Inside you'll find frescoes, large murals, and Tunisian tile work. You can climb the El Mirador Bell Tower and catch a view of the city and the ocean or even a pre-wedding kiss. The Santa Barbara Mission is no less spectacular. The tenth of its kind in the state, this is the epitome of California Franciscan Missions. State St. marks the heart of the city. Along State St. and North of Ortega St., you'll find mostly museums and historic buildings. Below, it turns into more of a commercial zone, with amazing boutiques, cafes and restaurants. Down at the end of State St. lies Stearns Wharf. It was first built in 1872 and, because it's the longest deep-water wharf between L.A. and San Francisco, it has served as the nucleus for maritime activity in the area ever since. It was once owned by Hollywood legend James Cagney. Along it, you'll find several boutiques, cafes, restaurants, other quirky shops, and a flock of brown pelicans. The Santa Barbara area offers some of the best classic California surroundings. To the west lie the Mesa and Santa Ynez Mountains. As these peaks and ridges turn to foothills, the land is taken up by vineyards and farms. Golf courses dot the surrounding valleys that run down into the ocean, where beautiful beaches line the shores. Off the coast lie the stunning Channel Islands. Channel Islands National Park encloses the five islands of Anacapa, Santa Cruz, Santa Rosa, San Miguel, and Santa Barbara. These islands are internationally famous for their unique wildlife that has remained independent from the mainland for thousands of years. You can access these islands via kayak, cruise, or by walking among them. You'll also find some amazingly preserved archeological remains of some of the earliest Californians. 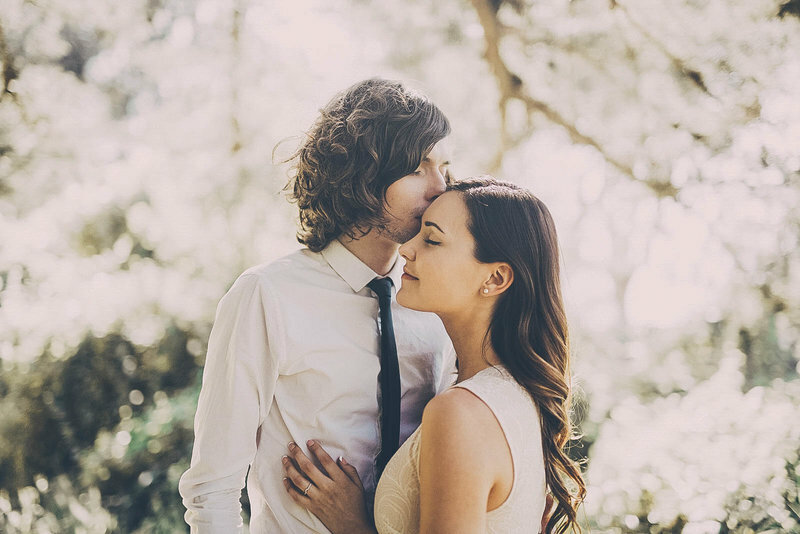 Plan your wedding in Santa Barbara, and you will not be sorry. While it is a small city of only 90,000, its proximity to L.A. and its beauty lend it the facilities of some of the best cities in the world. 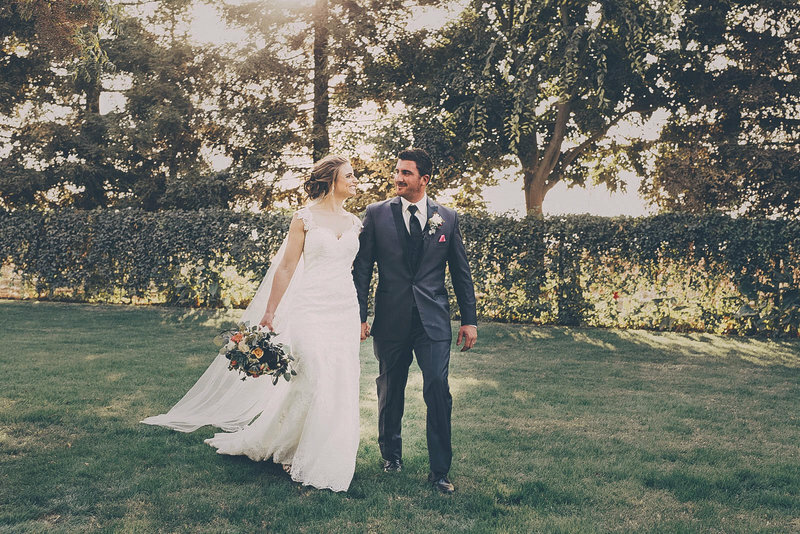 The Santa Barbara coast and the Channel Islands mark some of California's most stunning and classic beauty, making it the perfect backdrop for your wedding. If you are looking for a location that is perfect for your wedding and even your honey moon, it doesn't get any better than a Santa Barbara wedding.